The report by the Cato Institutes’ Alex Nowrasteh attempts to debunk the positions of President Donald Trump and the Department of Homeland Security that illegal immigrants are a “significant source of crime.” To do so, the writer analyzed reports from the Texas Department of Public Safety and looked at crime statistics for native-born Americans, legal immigrants, and illegal immigrants. 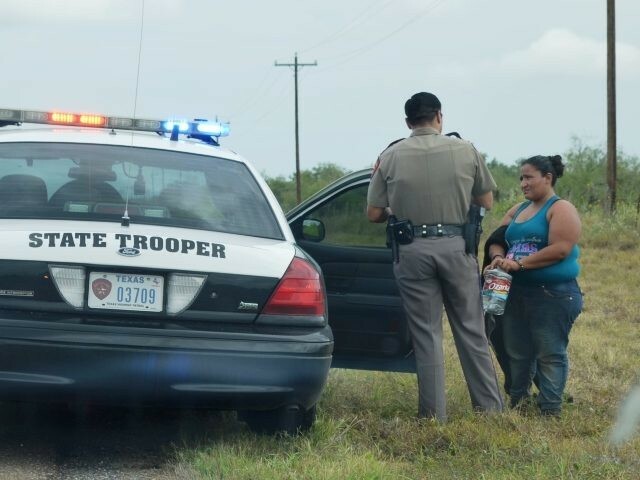 Cato chose Texas because the Texas Department of Public Safety (DPS) cooperates with immigration officials and therefore has more accurate breakdowns of crimes and arrests by immigration/citizenship status, the report states. While the report seeks to paint a picture that illegal immigrants commit fewer crimes than native-born Americans, it also shows that people who come to the U.S. by illegally entering the country in violation of laws are much more likely to commit additional crimes than people who immigrate here by following the law. The report looks at Texas DPS crime statistics for 2015. For example, Cato’s charts show that illegal immigrants are nearly 300 percent more likely to be convicted of a crime in Texas than a legal immigrant. Compared to native-born Americans, illegal immigrants are convicted at less than half the rate. When looking at convictions of violent crimes, the comparison between legal and illegal immigrants becomes more dramatic. 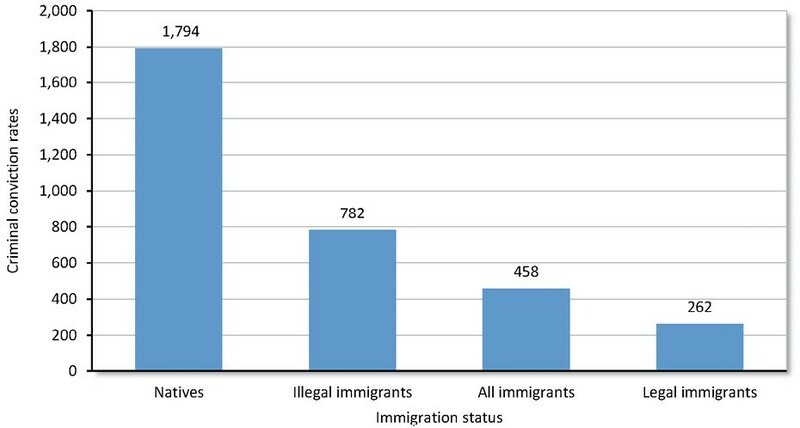 Illegal immigrants are slightly less likely to be convicted of homicide than a native-born American (25 percent) but are 568 percent more likely to be convicted of the same crime than legal immigrants. Statistics on sexual assaults reveal similar results. Illegal immigrants are 532 percent more likely to commit sexual assaults than legal immigrants, but only 12 percent less likely than native-born Americans. Illegal immigrants led the other categories in four types of crimes in Texas — gambling, kidnapping, smuggling, and vagrancy — Cato states. However, these cases are small in number and account for 0.18 percent of all criminal convictions in the Lone Star State. In terms of arrests for various crimes, Cato reports similar numbers. Illegal immigrants are about 300 percent more likely than legal immigrants to be arrested on any criminal charge, but are 40 percent less likely than the numbers of native-born Americans arrested. Similar rates apply for arrests for homicide, but illegal immigrants are more likely than native-born Americans to be arrested for sexual assault — but not for convictions for the alleged assaults. 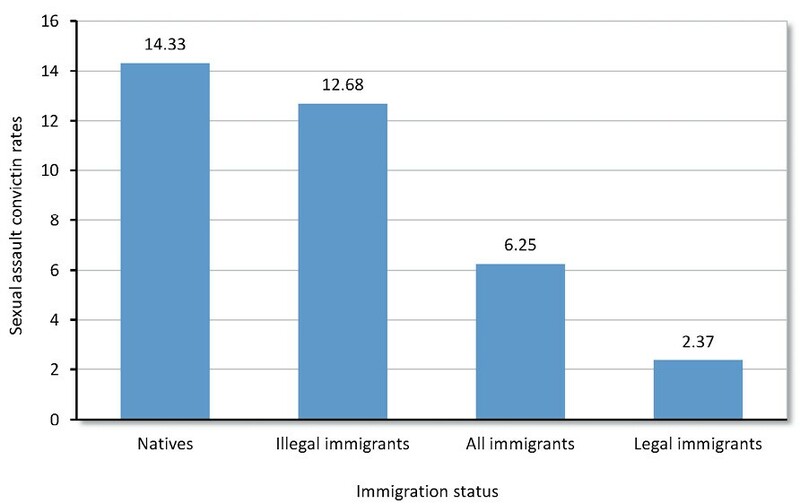 Cato’s conclusion and analysis throughout point out the comparison between crimes committed by native-born Americans and illegal immigrants and the comparison of crimes by legal immigrants versus native-born Americans. However, Cato appears to ignore the comparison of crimes committed by illegal immigrants who come to the U.S. with an initial mindset of violating immigration law versus legal immigrants who follow U.S. immigration law to move to this country. While the facts are shown in the charts, the written analysis does not make reference to comparisons between legal and illegal immigrants. The report also does not discuss the impact on victims of crimes committed by people who have no legal authority to be present in the U.S. when they committed their crimes or on the financial costs to Texas taxpayers to investigate these crimes, arrest the suspects, prosecute the cases, and incarcerate the convicted criminals who have no legal status in the U.S.